In normal case, when network send a grant (DCI 0), UE transmit PUSCH at only one specific subframe (4 ms after the DCI 0 reception). 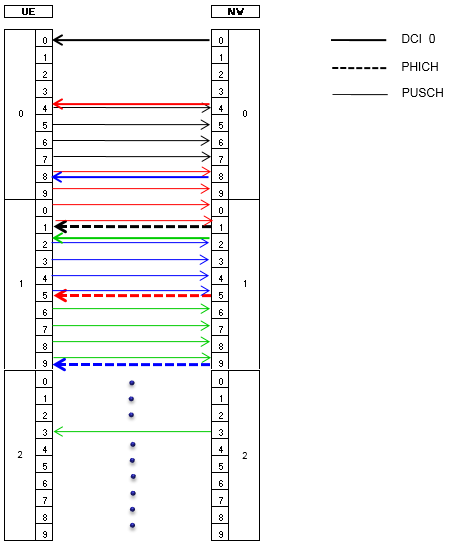 TTI Bundling is a method in which UE transmit a PUSCH in multiple subframes in a row (4 subframes according to current specification). In other words, UE transmit a PUSCH in a 'BUNDLED TTI'. Typical case of TTI Bundling can be illustrated as shown below. In some aspect, you may say this is a kind of wasting resources. Then Why we need this kind of method ? The simple answer is to increase the possibility of data reception at the destination. Then you may ask "Why not just rely on normal HARQ retransmission mechanism ?". 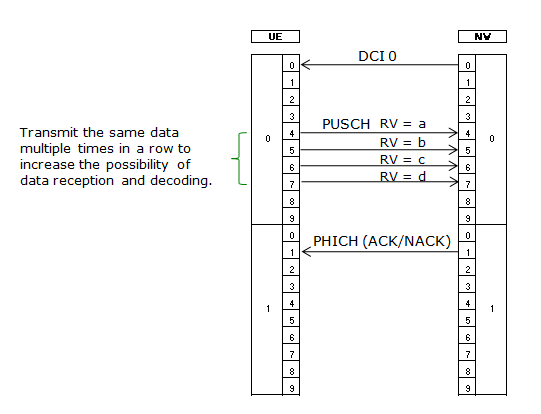 If the destination fail to decode a data, it would send NACK or do DTX and then UE can retransmit it and then the data delivery would be guaranteed. That is true, but this kind of normal retransmission mechnism cause a certain time delay (e.g, in FDD case, single retransmission would case 8 ms delay. see here for general UL scheduling) This delay can cause a very bad user experience in time critical data communication like VoLTE. Therefore, in a case where the communication is for time critical communication and UE is in the area of poor coverage (e.g, cell edge), it would not be a bad idea to enable TTI bundling. (But I haven't seen any case in which this is enabled in live network, at least as of now Aug, 2013). How to enable TTI bundling for a specific UE ? It is simple. Just enable a ttiBundling IE as shown below. (But the real implementation and optimization may not as easy as it sound). Isn't it too much waste of subframes ? Looking at the illustration at the beginning, you might think this is too much waste of subframes, partly because of multiple retransmission and partly because of scheduling restriction (the empty subframes you saw in the illustration at the beginning). There is no way to reduce the waste of subframe caused by retransmission, but there is some way to reduce the wast of subframe caused by scheduling restriction. If you are allowed to use only one HARQ process, there would be only one way of scheduling/transmission as the illustration shown at the beginning. However, we can use multiple HARQ in LTE and if you interleave the multiple HARQ, you can schedule the resources as shown below that transmit PUSCH at every subframe. Now you may have another question. 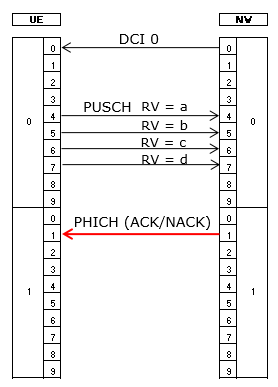 According to the illustration at the beginning, it seems that PHICH response (ACK / NACK( seems to be transmitted 4 ms after the last PUSCH in the TTI Bundle. Should it be always like this (i.e, PHICH 4 ms after the last PUSCH) ? How about sending PHICH 4 ms after the first PUSCH in the TTI ? Is this 'Not allowed' ? What if some of PUSCH got lost or received with CRC error as shown below. Would PHICH timing vary in these cases ? When TTI bundling is configured, the parameter TTI_BUNDLE_SIZE provides the number of TTIs of a TTI bundle. TTI bundling operation relies on the HARQ entity for invoking the same HARQ process for each transmission that is part of the same bundle. Within a bundle HARQ retransmissions are non-adaptive and triggered without waiting for feedback from previous transmissions according to TTI_BUNDLE_SIZE. The HARQ feedback of a bundle is only received for the last TTI of the bundle (i.e the TTI corresponding to TTI_BUNDLE_SIZE), regardless of whether a transmission in that TTI takes place or not (e.g. when a measurement gap occurs). A retransmission of a TTI bundle is also a TTI bundle. TTI bundling is not supported when the UE is configured with one or more SCells with configured uplink. According to this statement, the PHICH timing for all the case illustrated above the answer is same as follows. The parameter TTI_BUNDLE_SIZE is 4. When a UE is configured with higher layer parameter ttiBundling and configured with higher layer parameter e-HARQPattern-r12 set to FALSE or not configured, for FDD and subframe bundling operation, the UE shall upon detection of a PDCCH/EPDCCH with DCI format 0 in subframe n intended for the UE, and/or a PHICH transmission in subframe n-5 intended for the UE, adjust the corresponding first PUSCH transmission in the bundle in subframe n+4 according to the PDCCH/EPDCCH and PHICH information.